Alexandre Kauder has an Exhibition here. A photographer for almost 10 years, Alexandre Kauder has worked for many prestigious weddings in Switzerland, France and around the world. First and foremost, Alexandre is passionate about weddings. He loves the energy of the day, the emotion in the faces of the bride, groom and guests, and the unique atmosphere throughout a beautiful wedding day. 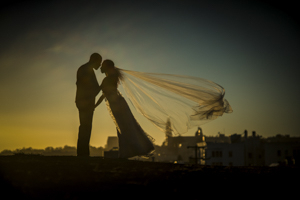 Most of all he loves learning about the romantic journey that has brought the bride and groom together on this most special day, and sharing a small part of their history with the couple. The first time you meet Alexandre, don't be surprised if you discuss everything except the photography for your wedding. He first needs to get to know and understand you, both as individuals and as a couple, so that the photos reflect your unique story. What is Alexandre's role? Above all, he is there to accompany you throughout the wedding adventure, from the engagement until several years after the big day. He loves to create unique photographs and exceptional memories. He stands ready to do whatever it takes to give you the ultimate photography experience - travelling thousands of kilometres if necessary. 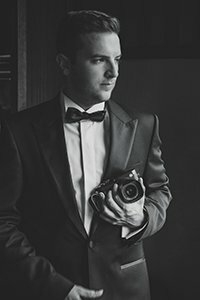 The recipient of multiple awards from the WPPI in Las Vegas (Wedding & Portrait Photographers International), with Alexandre's wealth of experience and expertise he is now a teacher for other professional wedding photographers. What is Alexandre's style? The response is clear and precise: he is able to produce any style you want. However, his guiding principle is to tell your story with elegant, creative, and contemporary photographs whose authenticity comes from the fact that they are a window on your emotions. He will give you all the advice you need to be natural and relaxed, and above all to put you at ease.